It’s not a problem Brewers’ customers encounter too often, and less and less as paint technologies improve. Brewers offer as standard all the key industry colour ranges from all the paint brands you’ve heard of and probably a few you haven’t! If the colour you crave isn’t available amongst the thousands of colours on offer, then using colour scanning technology, a bespoke colour can be mixed. If the right colour doesn't jump out at you, creating a bespoke colour may be the solution. Why is colour so important to interior design? The purpose of a particular room has a large role to play in the colours you choose, as any interior designer or architect will attest. Colour is evocative, sparking an emotional response which is why some colours are more suited to particular rooms of the house. Red for example can stimulate appetites making it appropriate for dining areas whereas blue promotes intellectual thought making it an ideal colour for studies. And those are just simple considerations when choosing paints for home interiors. When it comes to education and health-related buildings, picking the right colour to promote concentration and learning or restfulness and peace of mind will have a genuine effect on the thousands of people who spend time in those spaces. Equally, there are numerous practical scenarios where particular colours must legally be used, for example road markings in car parks and health & safety markings to design code compliance for pipework. Brand image is also of utmost importance in business environments keeping corporate colours accurate and consistent from printed literature to painted walls. Brewers are committed to getting you the right colour just as we are to getting you the right paint for the job. Colour is evocative, sparking an emotional response. Which paint colour systems are available at Brewers? Three main colour systems in widespread use in the paint and decorating industry are the Natural Colour System (NCS), RAL Classic, and British Standard (BS). The BS system is one of the most popular colour ranges, available in all the main trade and standard paint brands. 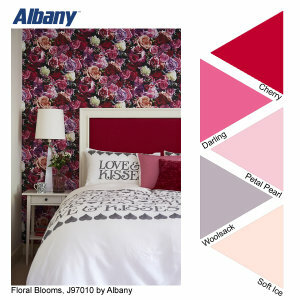 You’ll find popular colours on the Albany colourcard – don’t forget you can request your free copy. RAL is a central European colour standard. Tinting paint in RAL colours is available for many brands at Brewers including Albany, Dulux, Crown, Rust-Oleum and Johnstone’s ranges. As with BS and RAL, paint tinted to colours from the NCS colour system (most commonly referenced in architecture and design) is available at any Brewers branch in a range of brands and finishes. If the right colour is still not jumping out at you, creating a bespoke colour may be the solution. The purpose of the room will influence the colour choice. How does bespoke colour tinting work? Bespoke colour tinting means the colour world is your oyster. Simply bring a sample of the colour (swatch sized larger than a 50p coin) you want to match into your nearest Brewers Decorator Centre. Typically, customers bring in wallpaper cuttings, curtain swatches, cushions, clothes or other household items to colour match. One even brought a horse! · the computer will suggest the closest existing colour according to a percentage match giving you confidence in its accuracy. Every Brewers branch can scan and tint Albany, Crown and Dulux brands. Across the company, we can tint Sanderson, Paint Library, Rust-Oleum and Zinsser products in BS, NCS and RAL, as well as those brands’ own colour ranges. Brewers are committed to getting you the right colour. • finish – a gloss paint created by scanning and matching the colour from a matt surface sample will look slightly different. 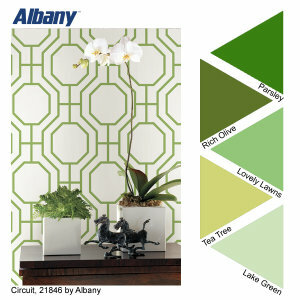 What are the advantages of Albany paint? 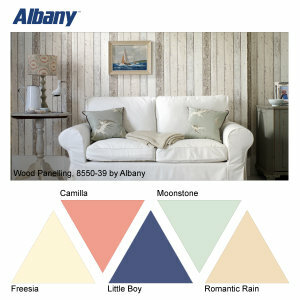 There are thousands of existing Albany colours to choose from; for inspiration, request a free colour card or visit www.albanypaint.co.uk. Alternatively, we can scan and colour match Albany paint to virtually any colour in the NCS, RAL and BS ranges, across all the available finishes - eggshell, gloss, matt, satin and silk. So whether you are marking out a sports centre, ensuring brand consistency in a retail fit-out or ensuring that your choice of interior colour supports a certain state of mind, Brewers can supply you the colour you need.